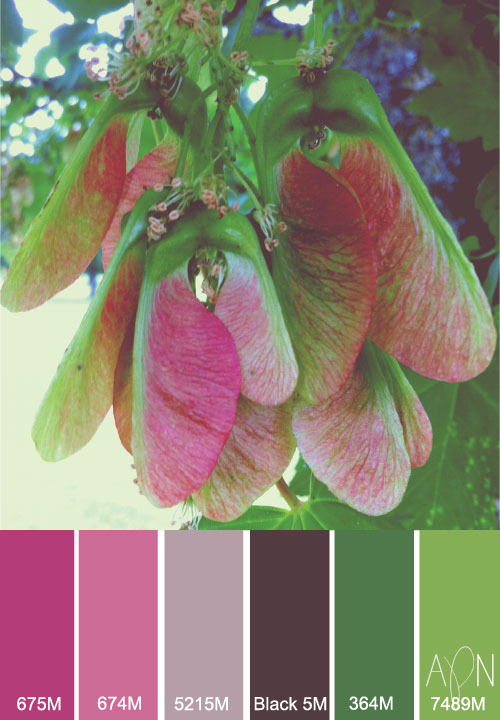 That is a beautiful tree and you created a equally beautiful color palette. Wow! Those colors are gorgeous! Praise be to God for giving us such beauty and for you the talent to replicate it in a way that such beauty can come into our homes. I love colors too! Nature continues to amaze me. One of my children is showing real artistic talent and she has always had a thing for color and sees it where others don't always see it. I remember when she was little and first learned her colors we were out late at night and she commented on the color of the stars, the blue stars and the red ones. She taught me to stop and really look in to the night sky all stars are not the same color! Those maple keys are gorgeous! That is beautiful! You are right, nature has an awesome way of putting colors together! The red and green hues together are always so gorgeous to me! My husband is color blind, and I always wonder what he sees. Color is very important to me too!